Layered products characterised by the structure or materials of the layers, including products formed from separate layers, wherein the layers lose their individuality in the final product, e.g. products formed from a plurality of fabrics which are compressed into a unitary mat, or consolidated into a single layer after impregnation with a resin. 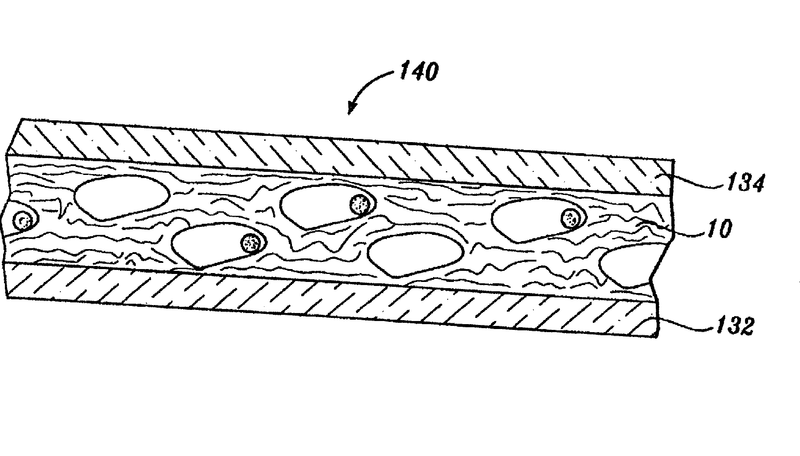 Methods or apparatus for making layered products; methods or apparatus for treating layers or layered products either preliminary to or subsequent to their manufacture, when the treatment is in connection with said manufacture. Classification of layered products is provided for in many technical areas, most of which are confined to a particular kind of material. However, in order that this subclass may provide a basis for making a complete search with respect to layered products, any layered products that specify relevant useful information are classified in this subclass even though it may also be classified in other classes. Compositions or preparation or treatment thereof, unless they are essentially restricted to layered products and cannot be fully classified in another class without ignoring this restriction. Adhesive tape, film or sheet comprising a single layer substrate, an adhesive coating not constituting a layer (see glossary of terms below), and a single layer liner or sheet. Products belonging to A61F 13/00 or G02B if the products are fully classifiable in these fields. "First place rule", as indicated in the IPC , is used in the following groups B32B 9/04, B32B 11/04, B32B 13/04, B32B 15/04, B32B 19/04, B32B 21/04, B32B 23/046-B32B 23/12, B32B 25/04, B32B 27/06, B32B 29/002. However, when these groups are not characterised by the specific material adjacency to be classified, then, multiple classification is given, e.g. a layered product having a stone layer next to a bituminous layer would be classified in B32B 9/04 and in B32B 11/04. For a cellulosic plastic layer next to a metal layer or to a wood layer B32B 23/042 or B32B 23/044, respectively, take precedence, i.e. first rule does not apply. For layered products comprising at least two ceramic layers and at least one layer of another material classification is given in B32B 18/00 and, if necessary, also in B32B 9/04. For products made exclusively of ceramic layers, B32B 18/00 takes precedence. For products comprising at least one glass layer, B32B 17/00 takes precedence over the above mentioned adjacency groups. In the groups B32B 15/01-B32B 15/018, the last place rule is followed (classification in the last appropriate place) combined with multiple classifications. For the rest of groups in B32B common rule applies. If the invention is characterised by several aspects, i.e. 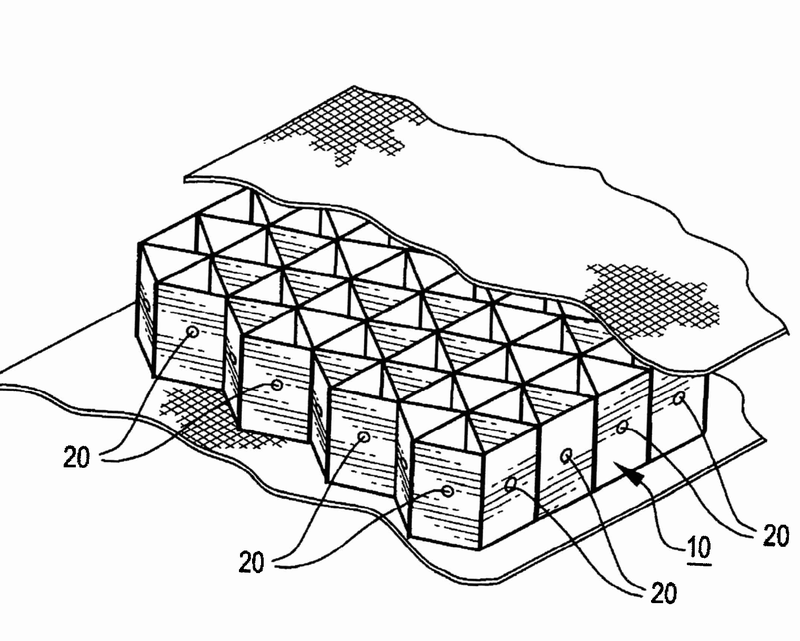 surface structure and/or material of the layer(s) or production method, several classification symbols are given. Layers with mixtures of essential materials covered by two or more subgroups are classified in each appropriate subgroup. When layer materials are too generally defined or too many possibilities are disclosed, then classes corresponding to the materials indicated in the examples are allocated. In the absence of examples, the pertinent more general main groups or subgroups are allocated. Coating operations are classified in B32B 2037/243 as long as a lamination process as defined in B32B 37/00 is present. c) B32B 2307/00 (properties) and B32B 2405/00 - B32B 2607/00 (particular articles), which are used in connection with the whole subclass B32B with the exception of B32B 15/01 and B32B 18/00. Indexing Codes mentioned in a) and c) are mandatory to classify technical information belonging to the core of the invention and optional for the classification of additional information. B32B 2305/00 and B32B 2309/00 - B32B 2398/00 are given as additional information, they are not mandatory but desirable. Random assembly of fibres or filaments, usually of limited length, e.g. felt or fleece, the fibres being interengaged or connected, e.g. by adhesive. Layer of threads, filaments, tapes or ribbons of any substance (including wires) of more or less unlimited length secured together; it may be e.g. woven, knitted, braided, netted, spunbonded, or formed of threads crossed or laid side by side and bonded together. Sheet, strip or stratum having a small thickness relative to its other dimensions. It may be deformed out of the flat plane to form a three-dimensional shape; it may or may not be homogeneous or cohesive; it may be an assembly of fibres or pieces of material. It may be discontinuous, e.g. in the form of a grating or a honeycomb. It may or may not be in complete contact with the next layer, e.g. a corrugated layer against a flat layer. The layer has to have one of the forms defined hereunder: 1 Preformed layer, i.e. taking the form of a layer at some stage before being brought into combination with another layer. 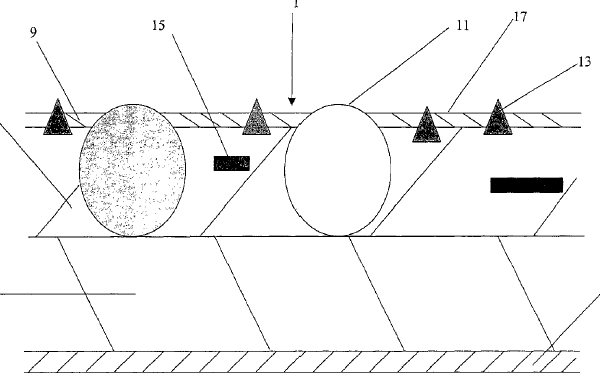 They include: a) coherent solid layers including honeycombs or similar layer of regularly arranged cells; b) non-coherent solid layers consisting of assemblies of strands, strips, tiles or like elements, which are juxtaposed side-by-side; c) fleeces or fabrics (including spaced fabrics) ; d) preformed paper webs; e) doughs which are cast onto a plate to form a solid sheet when set (including set mortars, cements and concretes); f) self supporting pre-moulded layers, e.g. pre-extruded, pre-cast; g) self-supporting transfer coatings. 2 Layer formed in-situ, i.e. taking the form of a layer after being brought into combination with another layer. They include: a) layer formed by casting, extrusion or moulding (e.g. injection, rotational process) of a melt material; b) by assembling strands, strips, tiles or like elements juxtaposed side-by-side onto a pre-formed layer; c) fleeces and fabrics formed onto a pre-formed layer and bonded or impregnated into a cohesive sheet, e.g. spunbonded fabric; d) mortars, cements and concrete layers formed onto a preformed layer. In B32B, with the exception of B32B 15/01- B32B 15/018 , the following are excluded from the definition of a layer: a) A coating formed directly onto a substrate layer, which at the moment of its contact with the substrate does not have the form of a layer (unless it comes within one of the sub-sections of definition 2 above). Coatings may be obtained by e.g. : - brushing, flowing, spraying, dipping or doctor blading a solution or dispersion; - deposition of loose particles, e.g. by sprinkling; - flocking - sputtering, vapour/plasma/vacuum depositing. b) A layer laid down as a wet slurry as in paper making or as in successive deposits of material in a mould so that the resultant product forms a homogeneous single layer. Product comprising at least two superposed layers secured together; the term "secured" is to be interpreted broadly to include any method of uniting or securing the layers, e.g. needling, stitching, gluing, nailing, dovetailing, welding or the interposition of an adhesive or adhesive-impregnated support. Products wherein layers are obtained by co-extrusion or by simultaneous injection moulding of materials are included in this definition. It also encompasses two layers of ceramic powders that are pressed together in a press. It may also be an intermediate stage in the production of an article which is not layered in its final form, e.g. a panel with a protective layer which is stripped off when the panel is placed in its position of use. It is normally of substantially uniform thickness overall, i.e. ignoring local variations such as are produced by a corrugated face layer. May be in the form of an article, e.g., a container. Preformed layer of particles, e.g. chips, powder, granules, flakes, in which the particles are bonded together, e.g. sintered or by a binder. "Layer formed of particles" or "layer made of particles"
Layered products having a general shape other than plane and being in the form of a receptacle or of a tubular product. The groups B32B 1/04, B32B 1/06 and B32B1/10 contain documents published before 2006 and are no longer used for the classification of documents after this date. B32B 3/22 and B32B3/24 contain documents published before 2006 and are no longer used for the classification of documents after this date. Layered products comprising honeycombs and similar layers of cells having a regular, repeating, geometric structure. Layered products comprising a face layer formed by elements, e.g. tiles, strips, rods, bricks and other elements, which are juxtaposed side-by-side, e.g. mosaics. The elements are laid out in a specific manner rather than merely agglomerated or scattered and are larger than mere particles. Layered products comprising an internal layer formed by elements, e.g. tiles, strips, rods, bricks and other elements, which are juxtaposed side-by-side, e.g. mosaics. The elements are laid out in a specific manner rather than merely agglomerated or scattered and are larger than mere particles. Layered products comprising a layer having changes of thickness which are not of a minor and accidental nature, or a mere, non intended result of a surface structure, e.g. grooves, ribs or protuberances. Layered products comprising at least a fibrous, filamentary, particulate or foamed layer (see definitions on B32B subclass glossary). B32B 5/28 contain documents published before 2006 and are no longer used for the classification of documents after this date. Coating on a fibrous, filamentary or particulate layer is classified with appropriate Indexing Code in B32B 2255/00 if of interest. The fibres, filaments or particles of a fibrous, filamentary or particulate layer may be impregnated, embedded or bonded with a substance such as a synthetic resin. If said substance is important an additional appropriate Indexing Code in B32B 2260/00 is given. If the nature of the fibres or filaments forming the fibrous or filamentary layer is important an additional appropriate Indexing Code in B32B 2262/00 is given. If the nature of the particles forming the particulate layer is important an additional appropriate Indexing Code in B32B 2264/00 is given. If the nature of the foam forming the foamed layer is important an additional appropriate Indexing Code in B32B 2266/00 is given. Layered products comprising a fibrous or filamentary layer including a fabric made from ribbons or tapes, or a layer formed by regularly laid parallel cords or filaments, which may be bunched, flat or slightly separated. Layered products wherein all layers are fibrous or filamentary layers are additionally classified in B32B 2250/20 if of interest. Layered products characterised by a particular arrangement of the fibres or filaments of the layers, e.g. fibres or filaments of the different layers being parallel or perpendicular to each other. The layers may be next to each other or separated by other layers. Layered products wherein all layers are foamed layers are additionally classified in B32B 2250/22 if of interest. This group covers layered products in which the relationship between the layers is important. The relationship could be, for example, the differences between physical or chemical properties, patterns of connection, and the orientations of features. This group covers layered products characterised by having two or more layers, one of which differs from another with respect to the orientation of features, e.g. the direction of one layer's corrugation or joints differs from that of another layer. The layers may be next to each other or separated by other layers. If there is only one corrugated layer in a layered product, it is classified in B32B 3/28 or B32B 29/08. This group covers layered products in which a pair of interconnected layers is bonded by one or both layers having inter-reactive properties, wherein neither layer of the interconnected pair comprises an adhesive – whether a coated adhesive, a tie layer, or a layer described as acting as an adhesive. This group covers layered products comprising an adhesive – whether a coated adhesive, a tie layer or a layer described as acting as an adhesive – inserted between two layers to bond them. If the nature of the fibres or filaments is important an additional appropriate Indexing Code in B32B 2262/00 is given. If the nature of the particles is important an additional appropriate Indexing Code in B32B 2264/00 is given. Layered products characterized by having a continuous or discontinuous metal layer including a layer formed of wires, e.g. a mesh (B32B 15/02). Coating on a metallic layer is classified with appropriate Indexing Code in B32B 2255/00 if of interest. Layered products with all layers being metallic in the form of sheets/plates, distinct layers. They can be made by any possible method such as roll bonding, cladding, brazing, coating etc. If the layered product comprises a layer which is not metallic such as polymer, ceramic, glass etc. then it is not classified in B32B 15/01- B32B 15/018, but in other parts of B32B. In the groups B32B 15/01- B32B 15/018, the last place rule is followed (classification in the last appropriate place) combined with multiple classifications. In metallic layered products having layer(s) of a specific composition, in addition to the corresponding B32B 15/01 group the composition of each layer is classified in C22C (C22C 5/00-C22C 45/00). When the layered is produced by a specifically described method (examples, claims) then the method is classified as well (B22F, C23C, B23K, C25D, B21B etc). When the layered product is intended for a particular use then the use is classified as well (see informative references for some of them). Galvanized steels having a specific composition of a substrate and/or of the Zn layer are classified in B32B 15/013. Brazing sheets/composite materials (e.g. for heat exchangers) with all layers formed of aluminium or aluminium alloys are classified in B32B 15/016. A layered product consisting of a layer of steel, a layer of aluminium alloy and a layer of Ni alloy will be classified in both B32B 15/012 and B32B 15/015. Layered products comprising glass in sheet form (B32B 17/06), or fibres of glass or slag (B32B 17/02) united with another layer of any kind. Glass in the form of a sheet or film bonded with a transparent synthetic resin to another transparent layer (laminated glazing – B32B 17/10). Glass fibres are suitable as reinforcement of variable polymer structures, as membranes or heat or sound insulating layer. Laminated glazings are used for automotive and transport applications in general, for architectural purposes, transparent armour and photovoltaic modules. In this group a layer of organic glass is not considered as a glass layer but as a synthetic resin layer and is classified using either CPC Combination-sets or as additional information. In the framework of B32B, the relation of a glass layer to adjacent layers is reflected by the entries under B32B 17/06. Within B32B 17/064, certain materials are further specified in B32B 17/08 and B32B 17/1055 when they are used to create a laminated glazing designed and manufactured for displaying certain properties under safety aspects. For these safety glazings, B32B 17/10 applies in general. Inventions classified in group B32B 17/10 are also classified in any appropriate group of lower hierarchy. B32B 17/02 is subordinated to the framework of B32B 5/02, the presence of glass fibres being documented by Indexing Code B32B 2262/101. B32B 17/02 or B32B 17/04 is only employed if B32B 17/06 applies as well. 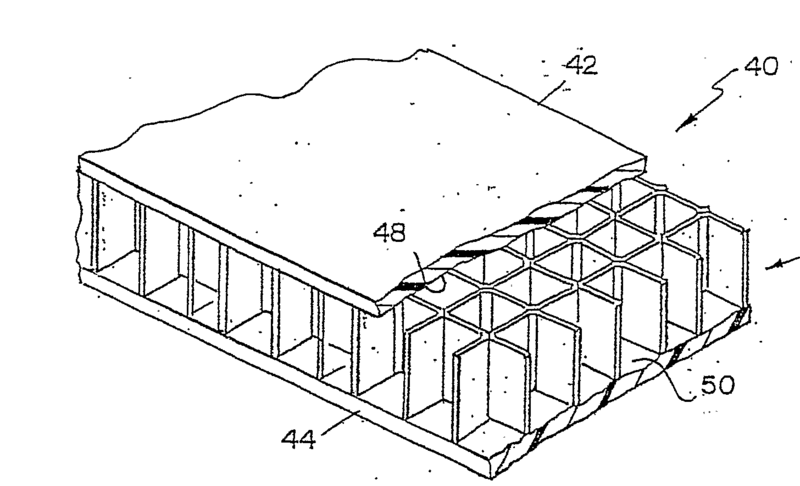 Layered products comprising mineral glass in sheet form united with another layer of generic kind immediately adjacent to a glass sheet (see however classification rule with respect to B32B 17/064). The layers need not be permanently secured, such as a releasable protective layer. 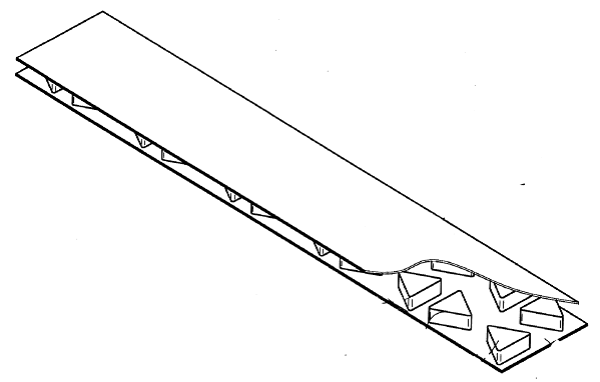 Fire-protective glazings comprising an intumescent layer. Various materials are used in combination with sheets of glass for the enhancement of the properties of one of the layer, for instance, for protection or reinforcement of natural stone, for architectural purposes in general (E06B 3/54 or E04F 13/14), or for displays in a variety of devices. In this group a layer of organic glass is not considered as a glass layer but as a synthetic resin layer. In the framework of B32B, the spatial relationship of a glass layer to adjacent layers is documented by the entries in the groups of B32B 17/06. The definition of B32B 17/064 covers synthetic resins which are further detailed in group B32B 17/1055 to specify what is called a laminated glazing, said glazing being designed and manufactured for displaying certain properties under safety aspects (see the Glossary of terms of group B32B 17/10). When group B32B 17/10 applies, B32B 17/064 is not used. 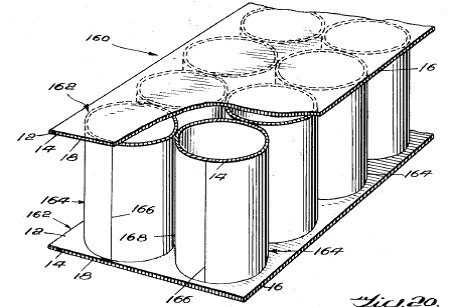 Layered products comprising mineral glass in sheet form next to a layer of a cellulose derivative or gelatin as polymeric substance. This group covers laminated glazings developed in the early days of this technical area, in particular for automotive applications (automotive windscreens comprising synthetic resin see B32B 17/1055). Laminated glazings wherein a glass sheet, or a glass-like polymer sheet or film is permanently bonded to a further glass sheet by means of a layer of transparent synthetic resin specifically chosen in order to provide for a predetermined force of adhesion to the glass layer by subjecting the components to a production process which puts emphasis on the absence of optical defects, i.e., more than just gluing together two planar pieces (for this general embodiment, see B32B 17/064). Laminated glazings are used for automotive and transport applications (automotive windows in general B60J 1/00), for architectural purposes (E06B 3/54 or E04F 13/15), transparent armour (F41H 5/0407) and photovoltaic modules (H01L 31/048). In this group a layer of organic glass is not considered as a glass layer but as a synthetic resin layer and is classified as additional information. B32B 17/064 does not apply. For laminated glazings comprising at least one layer of mineral glass, an interlayer sheet and an external layer of a synthetic polymeric sheet or film, classification is made using the appropriate group selected from below B32B 17/10009 together with the B32B orthogonal Indexing Code which designates the material of the said external polymer layer assigned as additional information. If a layer of a polymeric sheet or film is sandwiched by two interlayer sheets, classification is made using a Combination-set created by linking the Indexing Code of the polymer material to B32B 17/10, e.g., B32B 17/10 + B32B 2367/00. 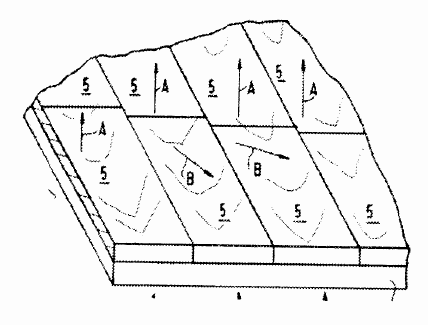 Interlayer sheets are further specified in group B32B 17/1055. Classification is made in anyone of groups B32B 17/10009-B32B 17/10807, thereby capturing each aspect of the invention. At least two pre-shaped green ceramic, ceramic pre-form (e.g. a ceramic fiber pre-form) or sintered ceramic layers are joined together, where the emphasis is not on the joining method. It also encompasses two layers of ceramic powders that are pressed together in a press. If after joining the two ceramic layers other type of layers, e.g. metallic or plastic layers are joined to the initial ceramic laminate, classification under other main groups of B32B will be necessary as well, but classification in B32B 18/00 remains. If in between the two ceramic layers there is a thin, non-essential layer of another material, e.g. a metallic electrode, it is still classified in B32B 18/00, but classification in other groups of B32B should be considered. B32B 18/00 is normally not used for laminates containing identical ceramic layers, such as in multilayer capacitors. B32B 18/00 also contains cold bonding of ceramic substrates. applying ceramic coatings on silicon for semi-conductor purposes H01L. Under C04B 37/00 the emphasis is on how the articles are joined. If two ceramic layers are joined, but the emphasis is not on how they are joined, classification would be in B32B 18/00. Secondary aspects of making ceramic laminates (B32B 18/00) and of joining ceramic articles with other articles through heating (C04B 37/00) are classified with Indexing Code C04B 2237/00, e.g. 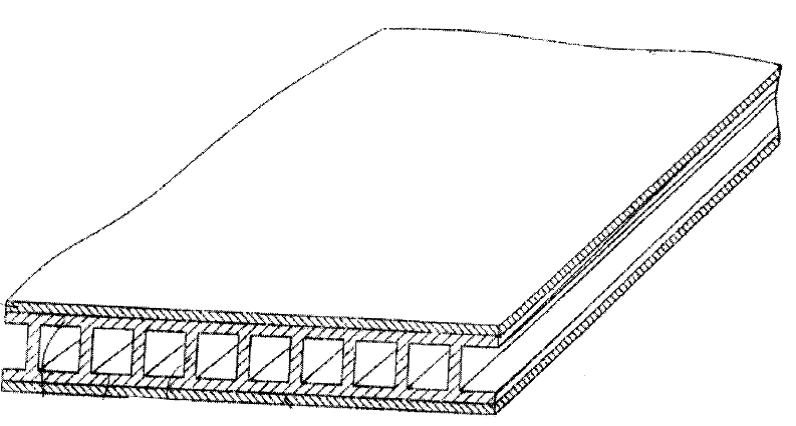 the composition of the layers or articles that are laminated or joined. Aspects regarding the heat treatments that are used for laminating are classified in C04B 35/64 and with Indexing Code C04B 2235/65, where the heat treatment of the laminating step should be considered as a sintering step. If for instance pressure is exerted during heating to laminate the articles, C04B 35/645 should be given. Aspects regarding the atmosphere of the heating step, possible annealing steps, heating rate, cooling rate, etc. are given Indexing Code C04B 2235/65. If much detail regarding the composition and/or synthesis of one or more ceramic layers or articles is given, classification in C04B 35/00 should be considered. Electrode and electrodes layers that are inserted between ceramic substrate layers are normally not seen as interlayers, since they normally do not have the function of joining the two ceramic substrates. They therefore do not receive a C04B 2237/12 Indexing Code. Only if it is clear that the electrode does have a joining effect, would it be regarded as an interlayer, and an Indexing Code under C04B 2237/12 would be allocated. In that case C04B 37/006 has to be used and there is no classification in B32B 18/00. Layered products characterized by having a layer made of naturally occurring mineral fibres or particles. Products classified in this group are also classified in B32B 5/00 if of interest. B32B 23/02 contains documents published before 2006 and are no longer used for the classification of documents after this date. Layered products characterized by a layer of thermosetting synthetic rubber. B32B 2272/00 contains documents published before 2006 and are no longer used for the classification of documents after this date. Layered products wherein all layers are polymeric are additionally classified in B32B 2250/24 if of interest. Coating on a layer of natural or synthetic rubber is classified with appropriate Indexing Code in B32B 2255/00 if of interest. Vulcanized rubber that cannot be re-melted or remolded without destroying its original characteristics. An irreversible process during which a rubber compound through a change in its chemical structure (for example, cross-linking) becomes less plastic and more resistant to swelling by organic liquids and elastic properties are conferred, improved, or extended over a greater range of temperature. Layered products characterized by a layer of a synthetic resin other than a cellulosic plastic resin or a thermosetting synthetic rubber. B32B 2272/00 , B32B 27/02 and B32B 27/04 contain documents published before 2006 and are no longer used for the classification of documents after this date. Coating on a layer of synthetic resin is classified with appropriate Indexing Code in L32B255/00 if of interest. Layered products wherein all layers are made of polymers belonging to B32B 27/30 and B32B 27/32 are classified in B32B 2250/246 if of interest. Layered products wherein all layers are made of polymers belonging to B32B 27/32 are classified in B32B 2250/242 if of interest. Layered products wherein all layers are made of polymers belonging to B32B 27/36 are classified in B32B 2250/244 if of interest. Making products characterised by particular features of structure or of composition, see the relevant groups for such products, e.g. B32B 1/00, B32B 9/00. Coextrusion steps are classified in B32B 37/153 or B32B 37/156 as long as the coextruded layers are joined with at least one additional layer. Coating steps are classified in B32B 2037/243 as long as the coated layers are joined with at least one additional layer. Layer if the total surface of the separate pieces is substantially the same as the surface of the other laminate layers. Particular aspects directed to removing the carrier layers are classified in B32B 38/10. Dimension of sheets or panels is determined at the instant when sheets or panels come into contact. Dimension of webs or layers is determined at the instant when webs or layers come into contact. Dimension of layers is determined at the instant when layers come into contact. Operations implemented on layered products not in connection with the lamination process are classified in fields related to said operations or in B32B 43/00. e.g. layout of stations in a manufacturing line.